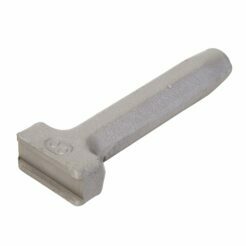 This tool is used for flattening and offsetting edges when lock seaming. The No. 00 grooving tool has a 1/2″ groove. 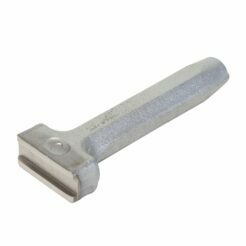 This tool is used for flattening and offsetting edges when lock seaming. The No. 0 grooving tool has a 7/16″ groove. 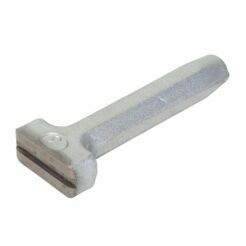 This tool is used for flattening and offsetting edges when lock seaming. The No. 1 grooving tool has a 3/8″ groove. This tool is used for flattening and offsetting edges when lock seaming. The No. 2 grooving tool has a 5/16″ groove. This tool is used for flattening and offsetting edges when lock seaming. The No. 3 grooving tool has a 1/4″ groove. This tool is used for flattening and offsetting edges when lock seaming. The No. 4 grooving tool has a 7/32″ groove.